We’re wondering if a ‘tipping point’ has been reached. Is the era of ‘government/industry gangs doing whatever they please’ coming to an end? Will those who have been spending/wasting OUR money finally be forced to consider OUR views and priorities? Take for example the noises being made in opposition to the poorly-thought-out wind farms debacle. Our Ontario government has piled onto a ‘green’ bandwagon, apparently without sober consideration, and signed long term contracts that will mean excessive expenditure of taxpayers’ and hydro customers’ money for many decades into the future. At the same time there will be very little if any benefit to our environment or economy. In fact when all the detrimental effects are considered – to human health, endangered species, and property, to name a few – the negatives far outweigh any alleged positives. It appears that our provincial politicians have signed us up for an experiment that will cost us dearly, with an increasing likelihood that the promise of abundant green energy will prove to be an economic nightmare rather than the anticipated dream-come-true. A hopeful sign is that a number of municipalities are passing bylaws to try to introduce a measure of prudence and caution to the picture – the ‘measure’ being in many cases a 2km setback from homes, and a number of fees to pay for things like decommissioning and property value losses. Another hopeful sign is a law passed in Denmark where 551 compensation payments have been made to people living next to wind projects with an average amount of 57,000 kroner per household. Real estate agents say the amount is often far below the actual property value loss, while politicians see it as a step in the right direction. The loss-of-value clause was passed by parliament in 2008 at the urging of Dansk Folkeparti (DF) and gave neighbours to wind turbines the opportunity to seek financial compensation for lost property value. As you can see, internationally, others are way ahead of Ontario. Here, the government set an artificial price on renewable energy, and then slapped a 20-year guarantee on that price. This price-setting structure is called the Feed-In Tariff program (FIT), and the World Trade Organization has struck it down as an illegal subsidy that violates international trade law. Problem is the politicians are playing with OUR money. If their decisions were to turn out correct we will pay MUCH higher prices for energy. If they are incorrect we, and/or our grandchildren still pay, in the form of penalties and lawsuits! The not-so-hopeful sign is that the affected companies aren’t accepting this situation without a fight. In Ontario we’ve seen threatening letters trying to put a ‘chill’ on local councils. We can be certain that more will follow, and in more industries besides the wind developers. A recent example of just how successful and profitable this ‘pay us either way’ tactic can be for a developer has occurred in the Aggregate Industry. Not long ago a government Ministerial Zoning Order put a stop to a proposed open-pit quarry application near Carlisle Ontario. 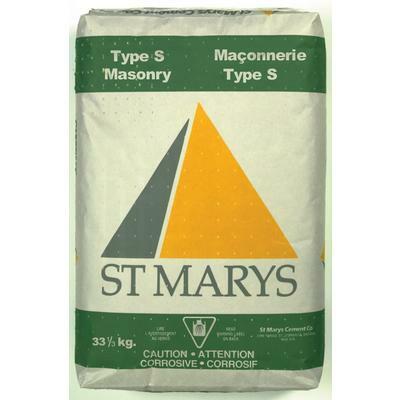 The applicant, St. Mary’s Cement, threatened to sue and it cost Ontario taxpayers $15million to settle. So WE paid $15M – a nice profit for St. Mary’s without shipping any stone – and what did we get for our money? Nothing but higher taxes and debts …. and McGuinty avoided facing a subpoena! So the ‘new reality’ is that people are beginning to wake up and demand that their governments – servants of the people – start to actually serve them! The concept of ‘Full Cost Accounting’ is being actively discussed as a requirement for industrial development proposals, so that only those activities that are environmentally, socially, and economically viable will proceed. To allow continued industrial development to proceed while being heavily subsidized by taxpayers, ratepayers, municipalities and property owners, not to mention the uncalculated costs to environments and species at risk, is just not going to be acceptable any longer. Politicians who don’t have their head in the sand must recognize these signs and see them as an opportunity to provide leadership in the direction we are already heading. Help spread the wake up call! Previous postNeed … or Greed? Next postMoney Squandering or Money Laundering? IF and WHEN there is any semblance of “honesty and honour” creeping into our Provincial Government, then we may just see a reversal of this destructive and corrupt Green Energy agenda. Until that happens, which seems highly unlikely, nothing will change!